Mikhail Borisovich Kornienko, born April 15, 1960 in Syzran, Samara Region, Russia, is an engineer and Russian Test Cosmonaut with one prior long-duration mission to the International Space Station, logging 176 days in space. In 2015/2016, Kornienko will participate in the first one-year Expedition to ISS together with NASA Astronaut Scott Kelly. Kornienko graduated from secondary school No. 15 in Chekyabinsk, Russia, in 1977 and began working at a radio equipment plant until being able to start his military service. Mikhail Kornienko passed basic military service in the air-transported troops of the Russian Army from 1978 to 1980 before working for six years as a militiaman in Moscow. He studied at the evening department of the Moscow Aviation Institute from 1981 to 1987, graduating with a qualification in mechanical engineering, specialized in liquid propellant rocket engines. Kornienko was an engineer at the General Machine-Building Design Bureau, Moscow from 1986 to 1991 before working 14 months as the director of the OOO Transvostok Technical and Production Department. 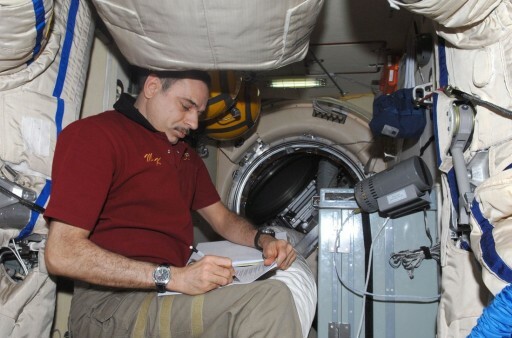 Starting in 1993, Kornienko became the General Director of LLC ESTE ahead of transitioning to RSC Energia to work in space engineering starting in 1995. He specialized in cosmonaut training for extravehicular activities and also worked at the Baikonur Cosmodrome as a launch equipment specialist. In February 1998, Mikhail Kornienko was selected as a Cosmonaut Candidate by the State Interdepartmental Qualification Committee followed by him receiving a Test Cosmonaut Candidate designation from RSC Energia in April, clearing him for basic training. He completed two years of basic cosmonaut training and was qualified as a Test Cosmonaut in December 1999. Kornienko was training to be a Flight Engineer aboard Soyuz TMA-18 and ISS Expedition 23/24 alongside his commander Aleksandr Skvortsov and NASA Astronaut Tracy Caldwell-Dyson. Scott Kelly was a part of their backup crew and spent some time training together with the prime crew, giving Kornienko and him a prior training experience before their one-year expedition. The crew of Soyuz TMA-18 completed training at the various international partner agencies to prepare for their various tasks they would have to complete as part of their duties aboard the Space Station. At the Gagarin Cosmonaut Training Center, the crew completed extensive Soyuz training, learning about the different systems and their functionality to prepare for flight aboard the Soyuz TMA variant. At the Johnson Space Center, the crew members were familiarized with NASA Mission Operations and began extensive training for USOS ops. In Canada, at the Canadian Space Agency, they completed training for operations of Canadarm 2 and in Tsukuba, Japan, they trained for Kibo module operations. 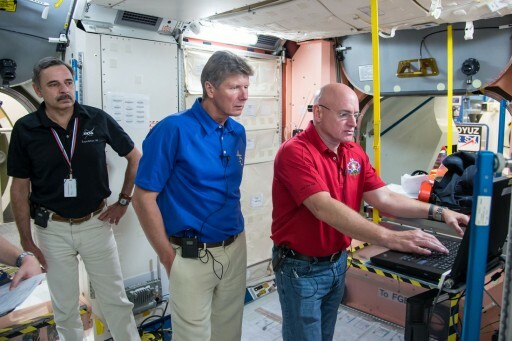 In Europe, the crew received training on Columbus Procedures and ATV proximity operations. 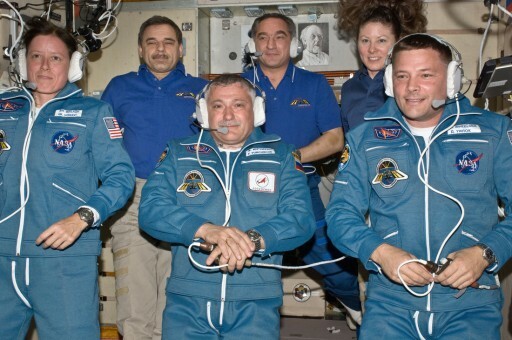 In March 2010, the three crew members completed final Soyuz and ISS training and exams, passing with excellent grades and being approved for flight on April 1 by the Interdepartmental Commission. Soyuz TMA-18 lifted off atop a Soyuz FG rocket on April 2, 2010, being delivered to a preliminary orbit from where the spacecraft could link up with the International Space Station two days after launch for an automated docking to the Poisk Module. Docking to ISS, the crew joined Oleg Kotov, Soichi Noguchi and Timothy Creamer who had been on board for Expedition 22. On April 7, Space Shuttle Discovery arrived at the Space Station on Mission STS-131 carrying the Leonardo MPLM that delivered new science racks and crew quarters as well as a number of science and research facilities and supplies for the crew of ISS. Three EVAs were part of the mission to replace an empty Ammonia Tank Assembly, replace a faulty Control Moment Gyro on the S0 Truss and install a work platform and tool box on the outside of the Quest airlock. A total of 14.1 metric tons of payloads were delivered to ISS as part of the shuttle mission that lasted until April 17 when Discovery departed ISS. Progress M-03M departed the Station on April 22 followed by an ISS reboost the next day performed by the M-04M spacecraft to prepare for the launch of the Progress M-05M spacecraft that occurred on April 28 with a successful docking two days later, marking the delivery of 2,588 Kilograms of cargo. 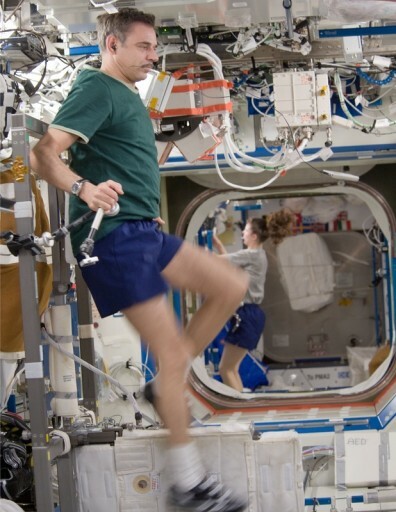 Aside from their normal science operations, the crew outfitted the interior of ISS, relocating the COLBERT Treadmill, the commissioning of the Cupola Robotics Workstation, preparing the US EMUs for operation during the next Shuttle mission and commissioning the new crew quarters in Harmony that were first inhabited by Mikhail Kornienko. On May 10, the Progress M-04M spacecraft departed the Space Station followed two days later by the relocation of the Soyuz TMA-17 spacecraft from Zarya nadir over to Zvezda aft to clear the way for the arrival of the Rassvet Module that had already been loaded into the payload bay of Space Shuttle Atlantis. Atlantis blasted off on May 16 on a two-day journey to ISS as part of mission STS-132. Rassvet was installed on the Zarya module by the Station’s Robotic arm; its interior was loaded with 1.4 metric tons of NASA cargo while on its outside, the module had a number of external outfitting components installed for future relocation and installation on the Zvezda and Nauka modules. Three EVAs were part of the mission for the installation of a new Ku-Band antenna, outfitting of Dextre, the replacement of six batteries on the port truss, and the reconfiguration of the external ammonia system. Atlantis also delivered internal cargo that was transferred to ISS before the shuttle departed. In the closing days of Expedition 23, the Rassvet module was prepared for its long-term use as a docking port and research module. Soyuz TMA-17 returned to Earth on June 2, 2010 after a nominal undocking and parachute-assisted landing in Kazakhstan. Soyuz TMA-19 with Fyodor Yurchikhin, Shannon Walker and Doug Wheelock launched on June 15, 2010 and conducted a nominal free flight leading up to docking with ISS two days after liftoff. With the crew back at six, teams focused on science operations, supporting over 160 active studies in the various modules of the Space Station. The crew of Soyuz TMA-19 completed a relocation of their spacecraft on June 28, making a manual docking to the Rassvet module that did not have its KURS rendezvous system installed yet, requiring a KURS-compatible docking port to be vacated for the arrival of Progress M-06M. Progress M-06M was due to arrive at ISS on July 2, but the first rendezvous attempt was aborted due to interference between the Progress TV system and the TORU manual docking system. A successful docking attempt was executed on July 4, marking the arrival of over two metric tons of cargo at the orbiting outpost. Over the course of the month of July, the crew and teams of the ground were dealing with a number of hardware problems such as a failure within the USOS Oxygen generation system and persistent problems with the water recovery systems. Mikhail Kornienko and Fyodor Yurchikhin embarked on a spacewalk of six hours and 42 minutes in July to outfit the exterior of the Rassvet module to ready it for the arrival of future visiting vehicles. 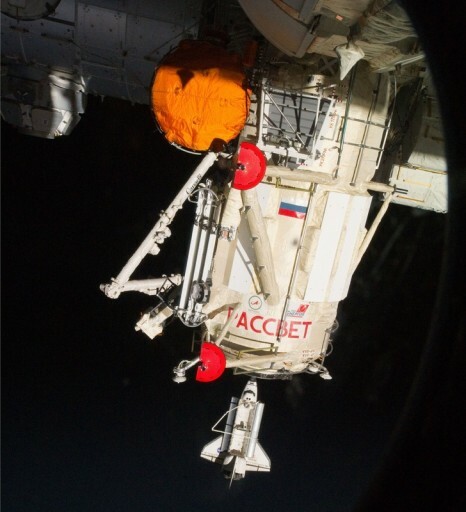 The spacewalkers installed the KURS automated rendezvous antennas on the exterior of Rassvet, installed associated cables and replaced a video camera. 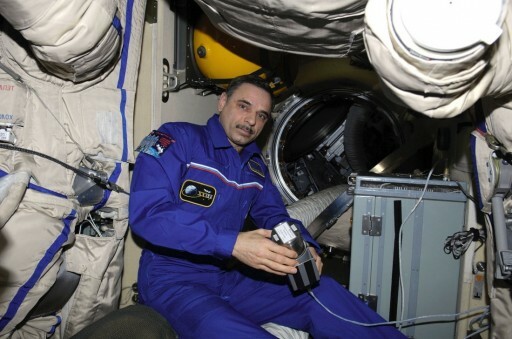 On July 31, the crew aboard the Station was woken up by a series of alarms triggered by the failure of an Ammonia Pump Module that circulates ammonia between heat exchangers with internal ISS systems and external radiators as part of the station’s cooling system. 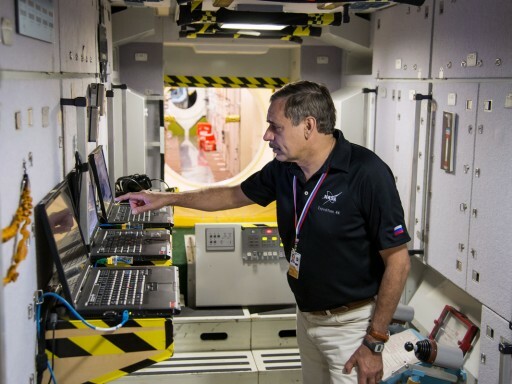 In response to the failure, some ISS systems had to be powered down to limit heat generation and the USOS crew pressed into preparations for a series of contingency EVAs. Doug Wheelock and Tracy Caldwell-Dyson needed three EVAs performed on August 7, 11 & 16 to remove ammonia and electrical lines from the failed pump, relocate the old pump, put in place a spare unit and connect it to the various liquid and electrical lines. By August 21, ISS had returned to a nominal configuration. On August 31, Progress M-06M bid farewell and made room for the next Progress that arrived on September 12 to make its delivery of 2,500 Kilograms of cargo. Heading into September, the crew aboard ISS prepared for the end of Expedition 24 and the departure of Soyuz TMA-18. Aleksandr Skvortsov handed command of ISS over to Doug Wheelock on September 22 and the Soyuz TMA-18 was set for its departure two days later. However, during the undocking, the hooks inside the docking interface did not disengage, requiring the crew to re-board ISS and wait for teams on the ground to finish troubleshooting the issue. Finally, on September 25, the crew could depart the Station for a short free flight ahead of de-orbit and an on-target landing in Kazakhstan. Over the course of his first mission, Mikhail Kornienko logged 176 days, 1 hour and 19 minutes in space, performing one EVA for a total of 6 hours and 42 minutes. After his return to Earth, Kornienko transitioned from the Energia Cosmonaut Detachment to the Gagarin Cosmonaut Training Center NII group as a Test Cosmonaut. 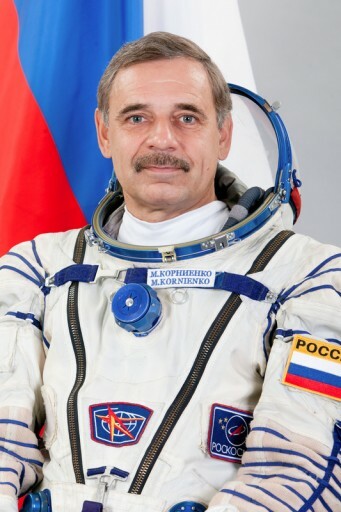 He re-entered training for a future ISS mission and was confirmed as the prime crew member for the one-year expedition to ISS in November 2012. Together with Scott Kelly and the various Expedition crew members that will be present over the course of the one-year increment, Kornienko completed various training operations at the different ISS partner agencies. With Scott Kelly, he performed survival training in January 2014 before serving as backup crew member Expedition 41/42. As part of his one-year flight to ISS beginning in March 2015, Kornienko will serve a Soyuz Flight Engineer on Soyuz TMA-16M, and ISS Flight Engineer throughout Expeditions 43, 44, 45 and 46 – returning to Earth in March 2016 on Soyuz TMA-18M commanded by Sergei Volkov. Mikhail Kornienko is married to Irina Anatolievna Kornienko (Savostina). In his free time, he enjoys running, swimming, winter bathing and athletics. He made an ascent of Kilimanjaro in August of 2007.